...to the website of John Horsey, the UK’s best known Professional fly fishing Guide, writer and co-presenter of C5 TV's "Chris Tarrant Goes Fishing" series. 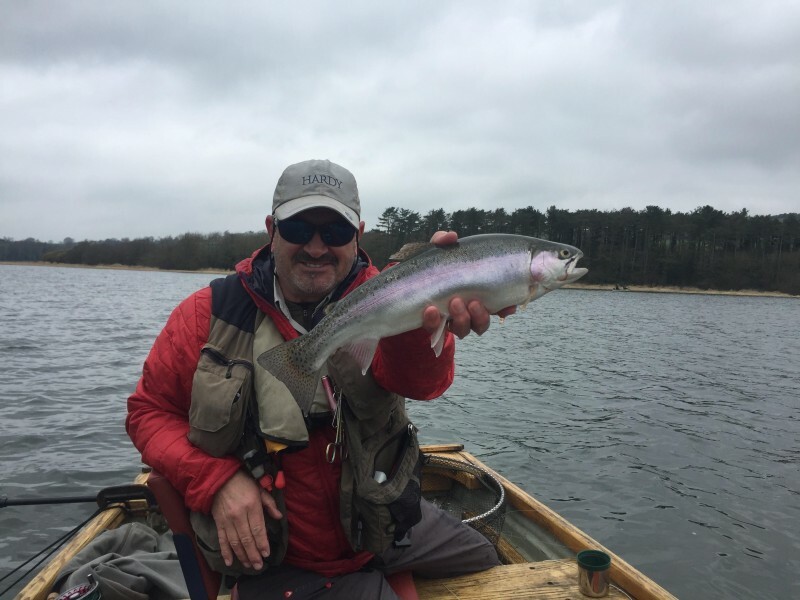 Currently ranked one of the World's Top 20 anglers and with 22 years of guiding experience with beginner and experienced anglers alike, John is firmly established as a leader in International fly fishing. This is my first post of the 2018 fly fishing season and many apologies for not keeping my Blog up to date during the last year. I decided to focus more on Social Media during that time but realise that many people still do not use Facebook, Twitter, Instagram and other social media apps. 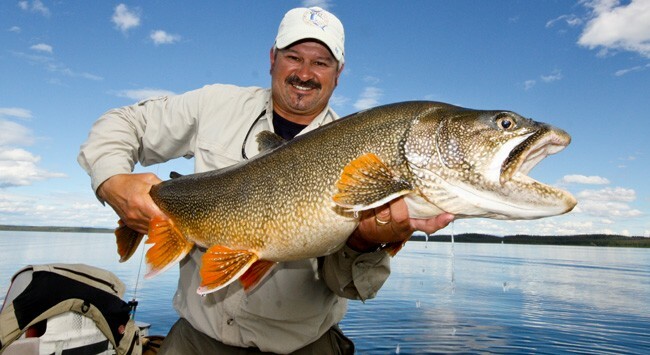 So I will now update my Blog regularly again with the latest fishing news and catches. 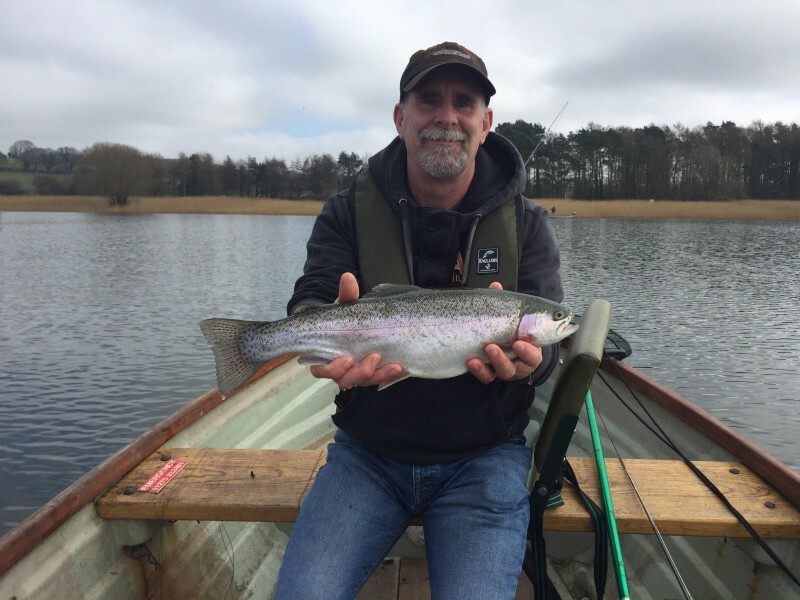 The trout fishing on Chew Valley Lake has been amazing since opening day in early March. 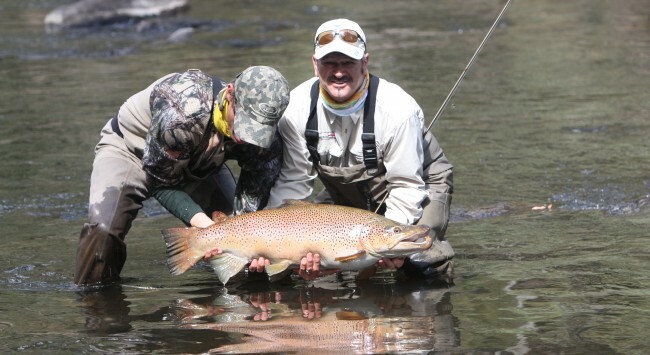 Hollowbrook has - and still is - holding large numbers of trout due to the massive bloodworm beds and buzzer hatches. You can catch in the shallow margins using Washing Line tactics with a FAB or Booby on the point and nymphs such as Diawl Bachs, Crunchers or Buzzers on the droppers. 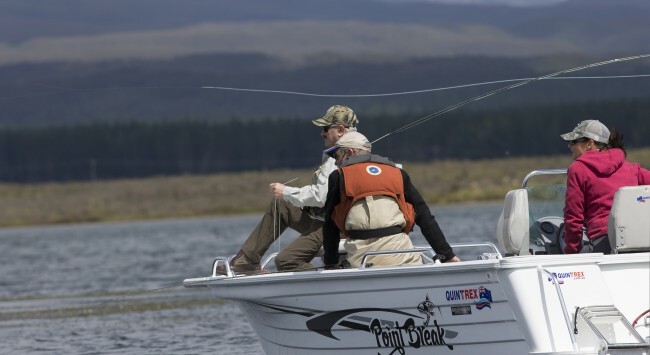 If you drift out into the deeper water - around 10 to 15 feet, then substitute a heavy Buzzer for the point fly and let the flies get right down. But be warned, these fish are fighting like tigers and strong fluorocarbon such as 8lb or 10lb Rio Fluoroflex is highly recommended. Herons Green has also been fishing well all season and now Villice Bay is coming alive. When the winds drop and the air temperatures rise, head over to Stratford bay and Herriots. These areas hold some of the biggest rainbow and brown trout that I have seen rising on Chew for many years. Recently, on a flat calm, bright, sunny day, My guest Ron Howard and I spent a day casting at huge rising fish using dries. The good old Claret Hopper proved to be the top fly and Ron's best fish was a fin perfect, overwintered Brown Trout weighing 5lbs 8ozs. My best two Rainbows weighed in at 6lbs 4ozs and 6lbs 6ozs. We also had plenty of other fish to dries that day, plus plenty to nymphs in other areas of the lake. Blagdon's Top End has been the best place all season, with boats catching literally hundreds of fish each day at times. With many people now practicing catch and release, these fish have survived and are now amazingly fit and getting bigger by the day. 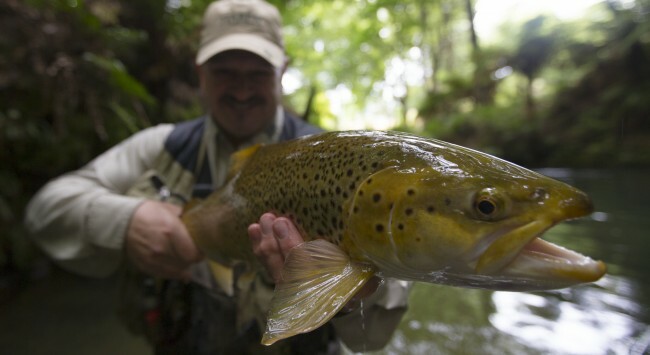 The same nymph tactics work here as on Chew and if there are rising fish to be seen, try the dries - Hoppers, Bobs Bits and Carrot Flies. 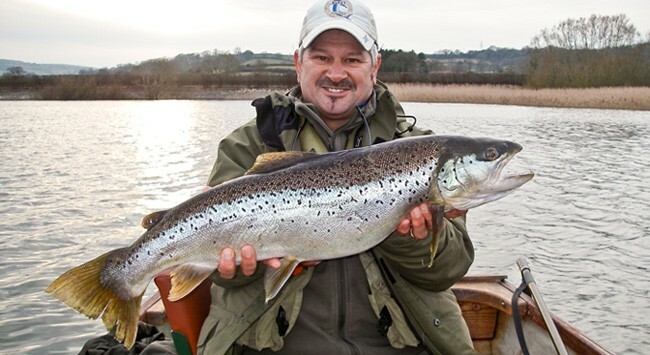 Butcombe bay started off very slowly this season, but now it is fishing well, as is Cheddar Water and in front of the Lodge at Polish Water. 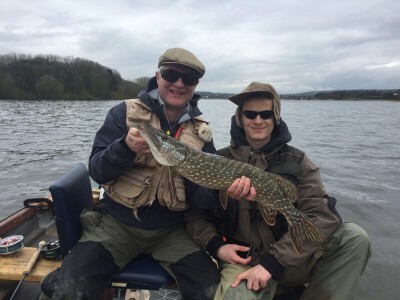 The pike fishing has been pretty tricky so far this season, but since the warmer weather, they are now beginning to feed properly. Several 20's and a 32:00 have come out in the past few days, with lots of smaller fish around the 6lbs to 8lbs mark being caught. Plenty of VERY big fish have also been spotted following the fly and lots are being caught on small flies by trout anglers. 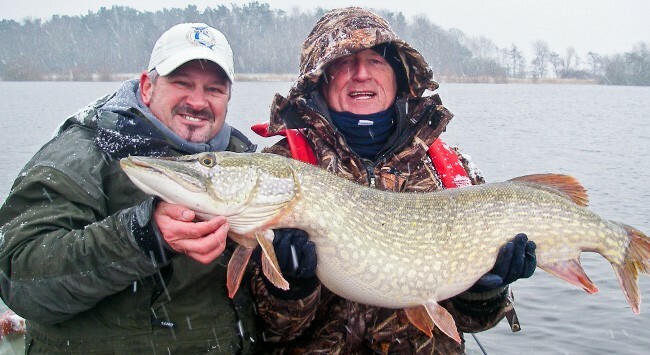 I actually had a 16:04 pike on a size 10 Buzzer last week - hooked fairly and squarely in the mouth! For the fisherman who has it all, or the beginner who's always wanted to try: John can provide Gift Vouchers for a perfect day out!